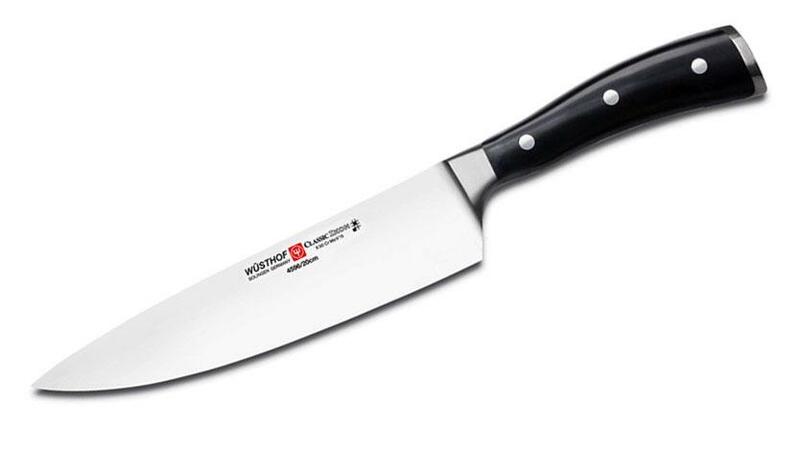 A sharp, lasting chef’s knife is all that what matters for any good cook. 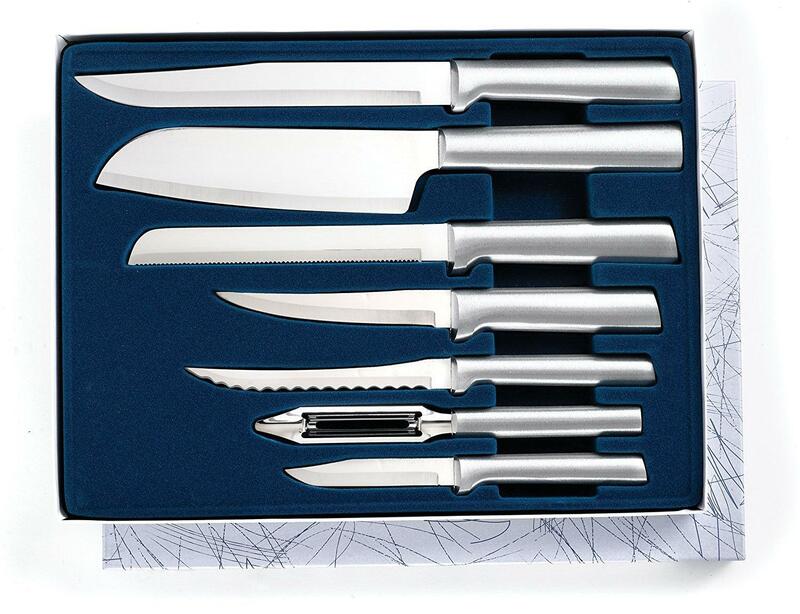 However, at times, it is annoying to keep on switching between different chef’s knives to fulfill your varied preparation requirements in the kitchen. 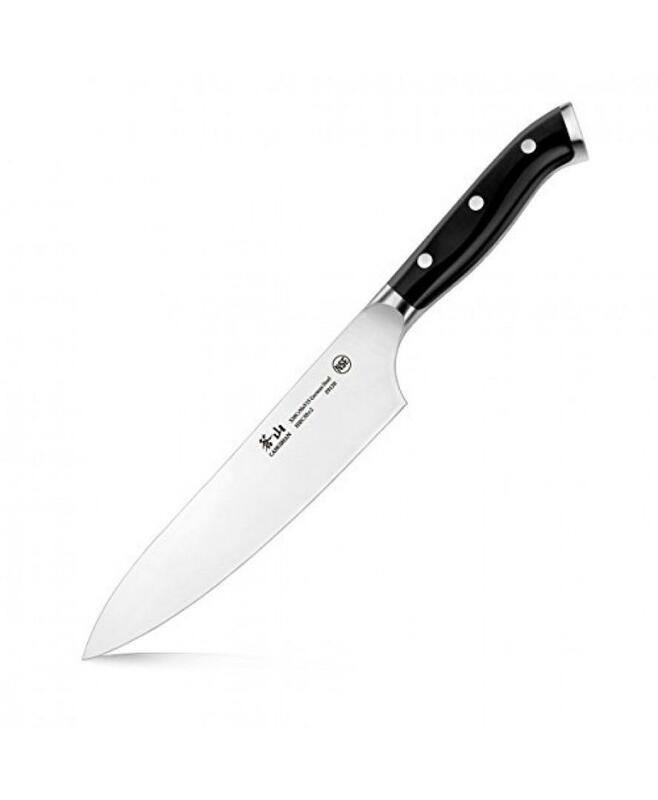 Similarly, it might be even hard to find the ideal chef’s knife, which alone can meet all your requirements, especially if you are looking for maximum desired qualities in one piece. However, with the multipurpose chef’s knife from Sharp Solutions, it is no longer hard to choose a single, reliable chef’s knife. 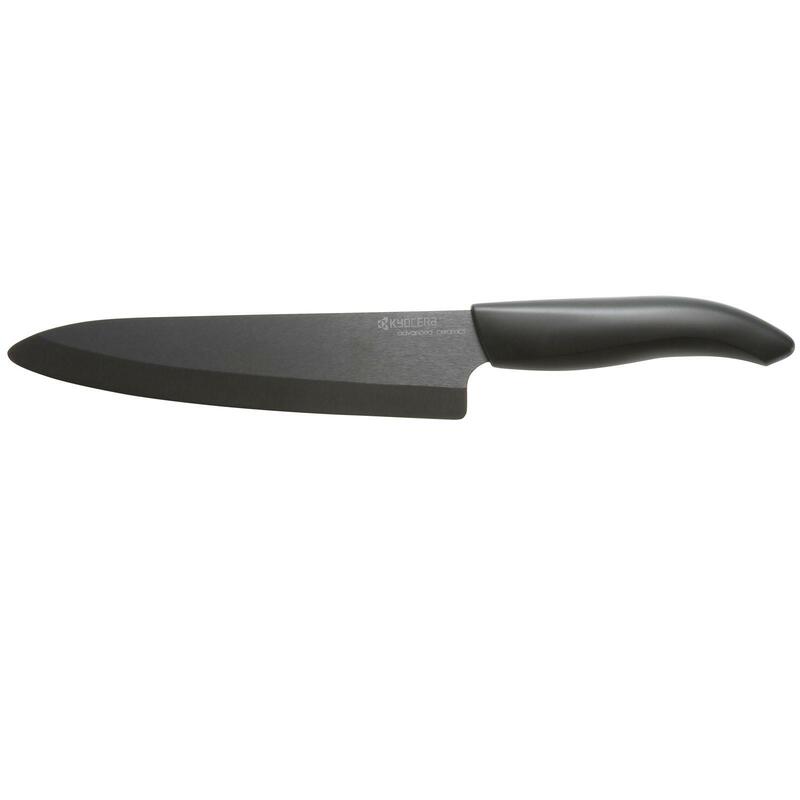 Designed with the aim of removing the hassle of switching between various knives while working in the kitchen, this knife from Sharp Solutions is truly a sharp solution for all professional chefs and home cooks. At the price at which it is available to appeal even the strict budget keepers, the sharpness is just like a high-end blade. It is a long knife to behold but a comfortable and non-slippery one to hold! This knife is a quality piece that feels heavy enough in one’s hand to give the desired control. While this is the best selling point of a heavy knife, a few fans might not prefer this much weight. So, it is actually a personal choice. Talking about the overall length, it is certainly 13 inches, which is really long. 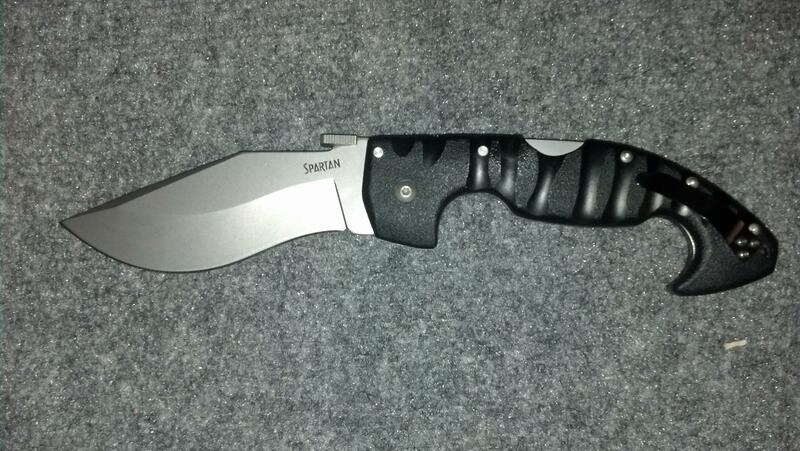 Despite being so long, the knife is light enough to ensure easy maneuverability. Cutting thick pieces of frozen food is a breeze instead of annoyance, which is something that most quality knives do not ensure. The blade is sharp enough to cut, slice, dice, and mince almost any soft or hard stuff. Out of the box, the edge is sharp enough to cut lemons, ginger, melons, and pineapples with ease that most users desire. This edge even satisfies those who are quite particular in choosing a knife edge. The blade is eight inches long and is usually shipped with 15 degree angles. 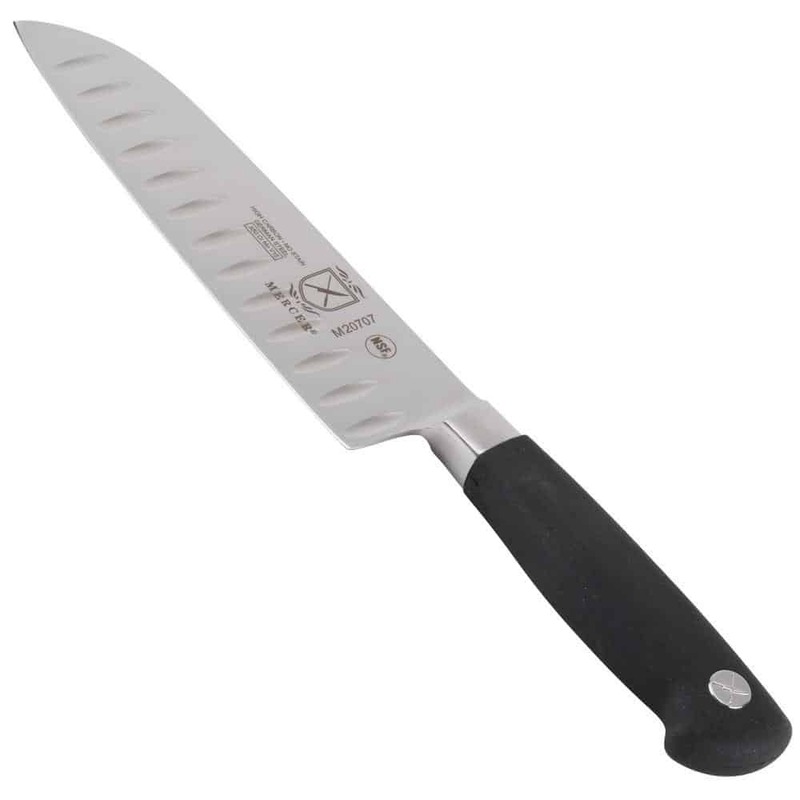 However, because this knife is engineered for heavier duty work, it is possible to sharpen them with 20 degree angles. As a result, you can thin slices that are transparent. The blade is forged using the best quality stainless steel material, 3Cr13, which is known for its superb hardness as well as sharpness. This is the same material that is used by the participants of underwater sports due to its high resistance to corrosion and rust. The raw steel also retains the edge for a longer time than expected, as the inclusion of Vanadium and Molybdenum in raw steel increases the lifespan of such an edge. This is one of the most important indicators of a quality knife. This knife strikes a perfect balance where your second finger is positioned on the handle. With this, you enjoy a good pivot point for chopping. The handle is ergonomic and longer than several other knives. 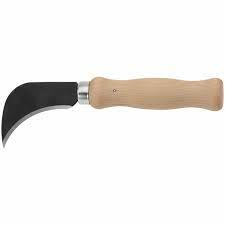 It gives a comfortable feeling when in the palm, with proper grip for cutting without getting tired. The handle is made up of strong polymer material known for its resistance to shocks and heat stability. With over 250 reviews, it is clear that this knife is popular enough to persuade you to look into it. Similarly, the rating of 4.4 stars out of five is likely to motivate you to buy it. 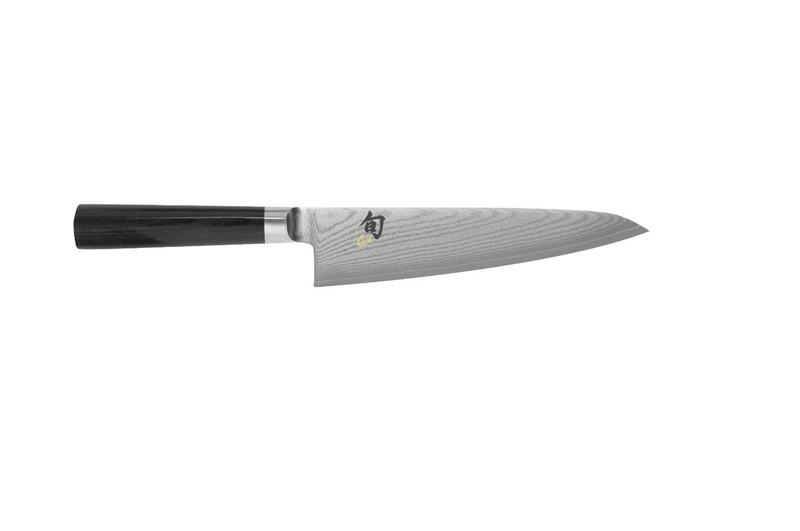 This multipurpose knife is super sharp, rightly balanced, and perfectly engineered piece for being a professional cook. It is a perfect gift for your loved ones.